Here are questions to ask your servo motor repair shop to help you avoid delays, unnecessary expenses, and hassles as well as to insure you get skilled, quality repair work the first time. Q: Do you have a dedicated, in-house servo repair facility? A: Many repair vendors outsource their servo repairs which adds turn-around time and shipping to your costs. TigerTek has a dedicated 30,000 square foot repair facility that is UL approved, houses a huge spare parts inventory for all major brands of servo motors, as well as factory-trained technicians with many years of experience repairing servo motors. Q: What is the expected turn-around time if my motor requires replacement parts? A: Carrying a wide inventory of spare parts can dramatically improve turn-around time because ordering commonly used parts that require shipping is unnecessary. Due to the nature of servo repair, TigerTek has a huge inventory of spare parts on hand for most major brands. Further, we offer 24 hour service 365 days per year. Q: What kind of testing do you perform to ensure reliability? 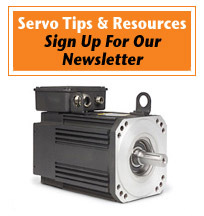 A: You should expect to receive your servo motor performing according to the manufacturer's specifications. TigerTek performs run tests on every motor it repairs, ensures it is properly aligned, and returns it with a detailed failure report. Q: What if my motor requires electronic or machined repair? A: Servo repair facilities should be equipped with an electronic repair lab to address component failures (tachometer, encoder, resolver, etc) as well as a machine shop to repair or remanufacture shafts, sleeve endbells, and motor housings. TigerTek's facility includes both an electronic repair lab as well as an in-house machine shop to ensure your servo motor receives a quality repair. Q: How will I know the status of my repair? A: Quality repair facilities should offer computerized job tracking that allows you to check the status of your repair. TigerTek offers you the ability to check the status of your servo repair from any computer with an internet connection. From the time we receive your shipment and assign it a unique job number, you can track your servo through evaluation and quote, repair, quality checking, and its return shipping back to you. Q: How do I know that I'll receive a quality repair? A: Your servo repair shop should offer an in-service warranty on all servo repairs. TigerTek offers a one year warranty which we believe will give you time to put the servo back into service so that you know it is in good working condition as well as realize that it really is a quality repair.